The transformation of slaves, trembling in the hundreds before a single white man, into a people able to organize themselves and defeat the most powerful European nations of their day, is one of the great epics of revolutionary struggle and achievement.–CLR James, Black Jacobins. On the night of August 21, 1791, the slaves of the lucrative French colony of Saint Domingue rose in rebellion in the Northern part of the island. In a short while, the insurrection would spread, engulfing the colony and nearby empires, as a revolt of slaves transformed into an imperial war to define the very meanings of western notions of liberty, republicanism and freedom. 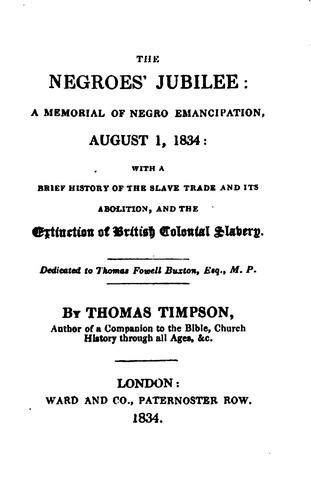 When it had all ended, the beginning of the end of the instutition of slavery had begun and the second republic of the Western hemisphere was born–the free black nation of Haiti. Haiti has played a prominent role in speculative fiction. In much of the mainstream, this has mostly been negative–with a focus on zombies, voodoo-doctors (a misrepresentation of Vodun) and other dreamt up horrors to make us gawk and gasp. The relentless media themes of Haiti as a pariah, as a defunct state as a “cursed” place where hope goes to die, has become so normalized that many who seek to imagine the fantastic about Haiti often end up indulging in the exoticized and the grotesque–unable to see beyond such limiting definitions. Yet there has always been an oppositional portrayal. Since its inception, Haiti has stood as a symbol (even if at times contradictory) in the African diaspora. Images of Haiti’s leaders decorated the homes of African-Americans in the early 19th century, and inspired free blacks in Boston to invoke its name as both an act of threat and defense–against the violent white mobs that daily harrassed them. Historian Julius S. Scott’s work “The Common Wind: Currents of Afro-American Communication in the Era of the Haitian Revolution,” depicts how news of the island’s revolutionaries electrified blacks, both slave and free, throughout the Atlantic. As late as the Harlem Renaissance, Haiti’s historical figures appeared in the art of Jacob Lawrence, while the anthropologist/writer Zora Neale Hurston spent time on the island studying and recording its culture, which would later impact her literary works. This legacy has been picked up by varied speculative writers, whose depictions of Haiti and Haitian culture defy the normative. Haiti’s Vodun is respun as a powerful spiritual practice (not merely some cult) in the works of Nalo Hopkinson, its lwa even becoming part of the AI basis for a futuristic Pan-Caribbean society. In Nnedi Okorafor’s writings a Haitian scientist is responsible for detonating “Peace Bombs” that unleash magic and rework Earth’s entire ecology. When I set upon creating my own steampunk story (unpublished), Haiti seemed a natural start, as I used the genre’s penchant for alterting history to re-imagine a different aftermath for Haiti’s Revolution, and its impact on the 19th century Victorian Atlantic. Turns out I wasn’t the only one, as I found a fellow writer had also turned to Haiti to create his steampunk world. A short time later, I came across author N.K. Jemisin’s The Effluent Engine, a steampunk Haiti inspired story written in 2010. And of course, there is a long tradition from Haiti itself of storytellers, visual artists and more, that paint in bright vivid colors a rich history, society and culture. Haiti remains part of our collective imagination, our hopes and (for some) our fears. So it’s not surprising that it weaves readily into our creative impulses. Yet it isn’t by some chance or whim that Haiti is the source of such inspiration and contention. 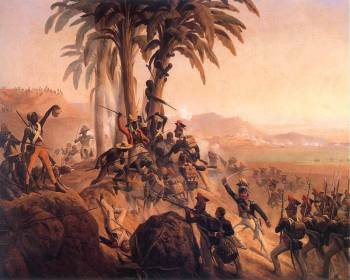 Haiti’s importance, that which places it so central in our psyche, to conjure up so many different meanings when we utter its name, is tied directly to those events that began some 221 years ago, on the night of August 21 1791.